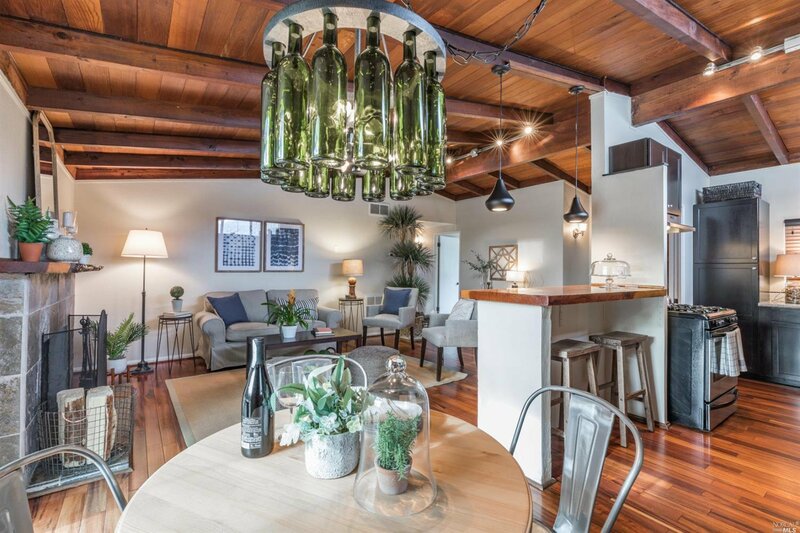 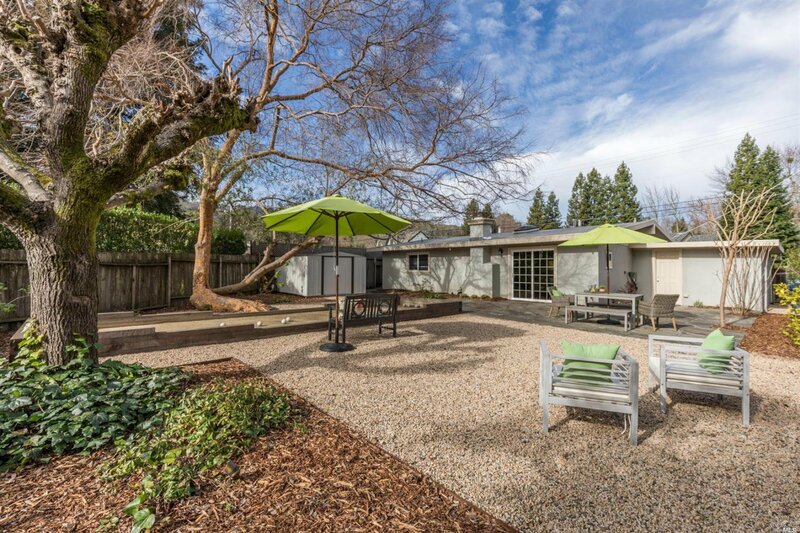 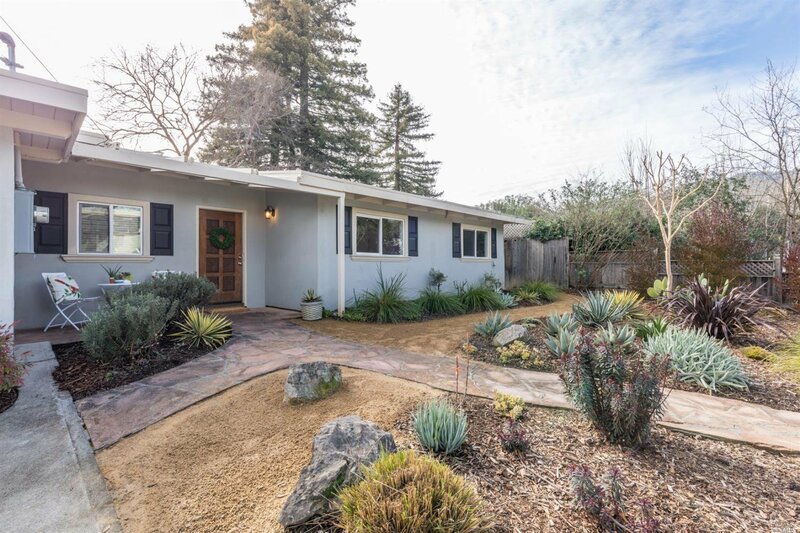 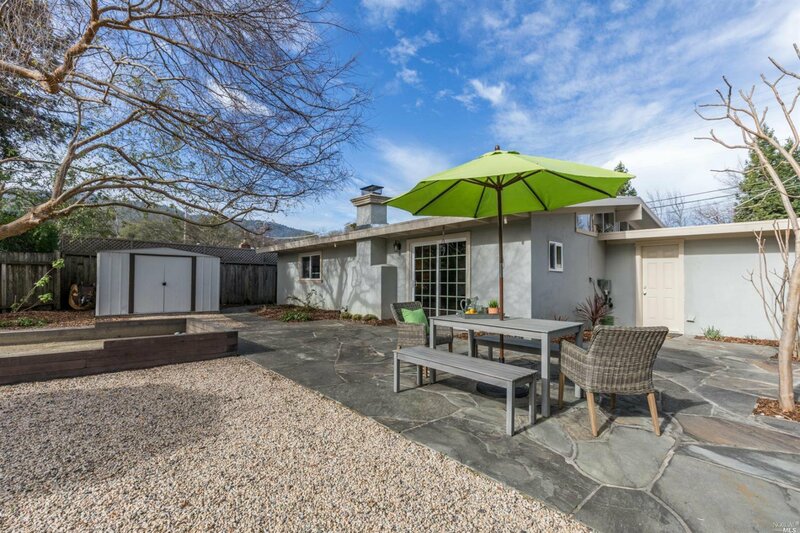 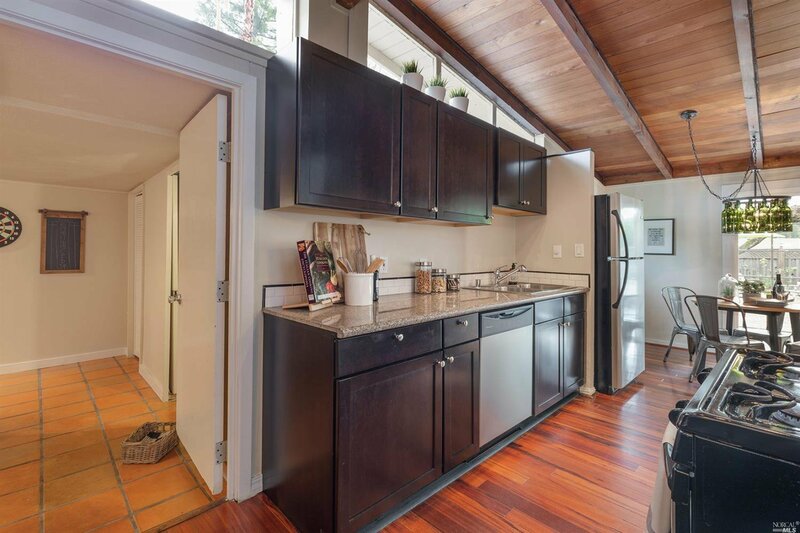 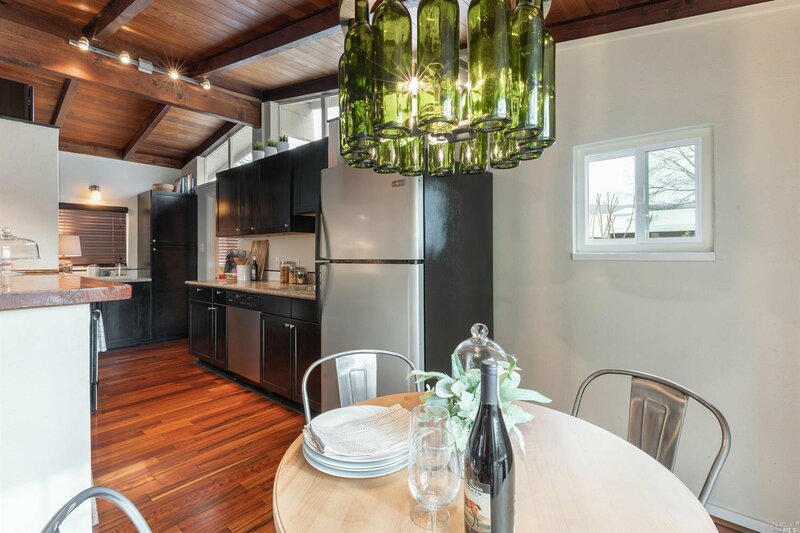 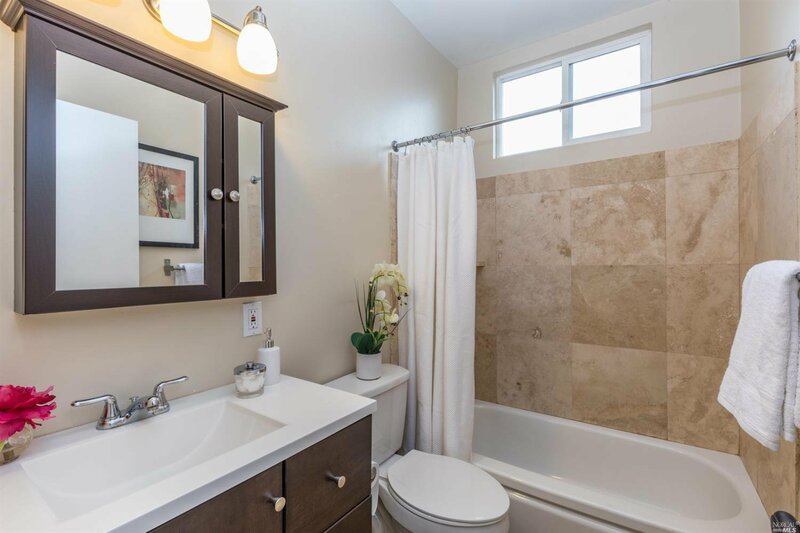 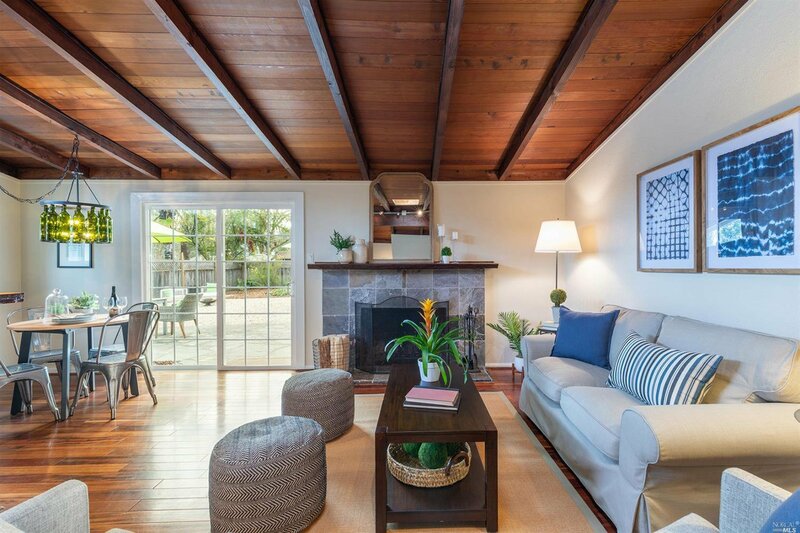 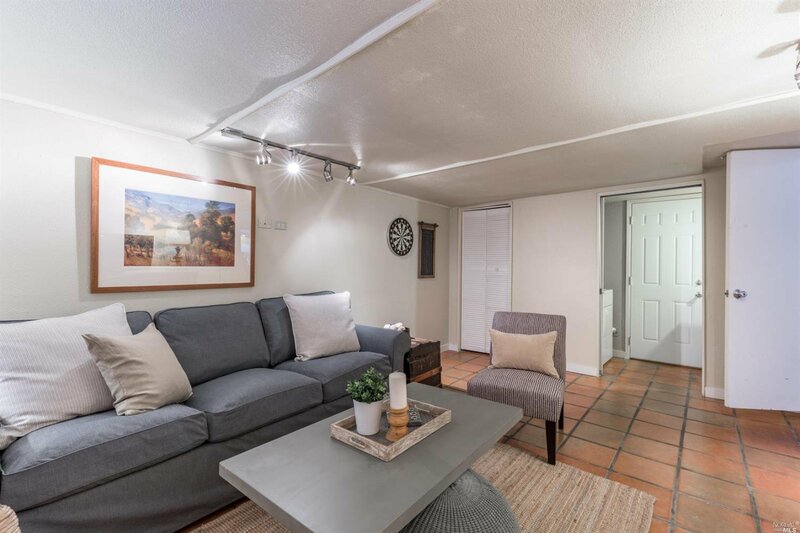 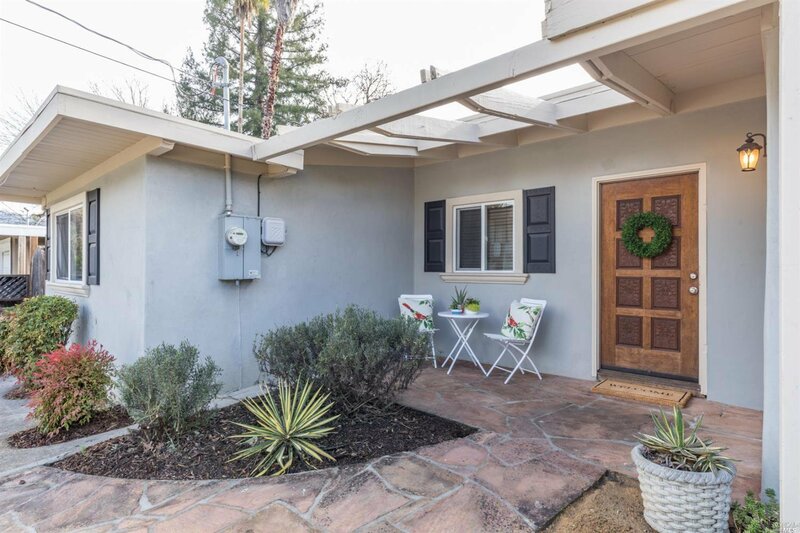 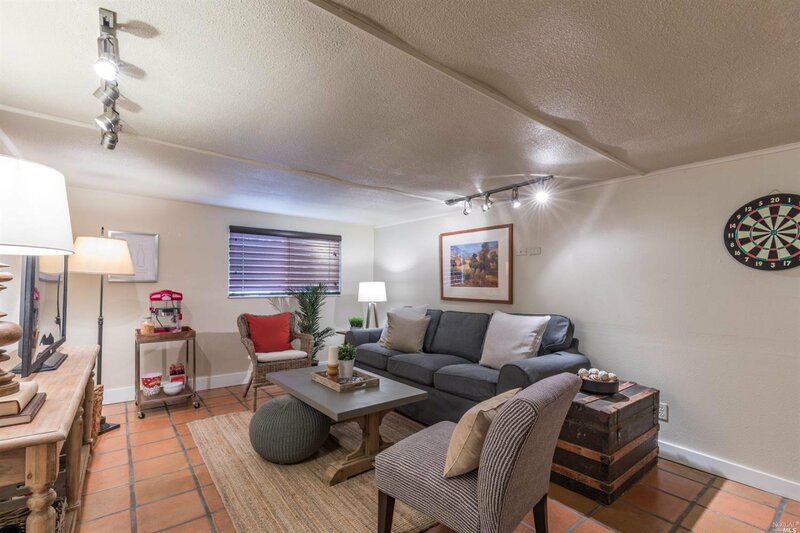 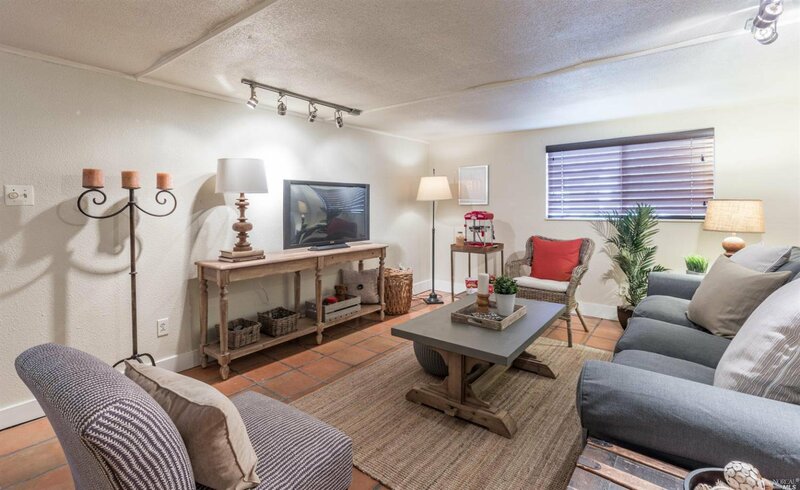 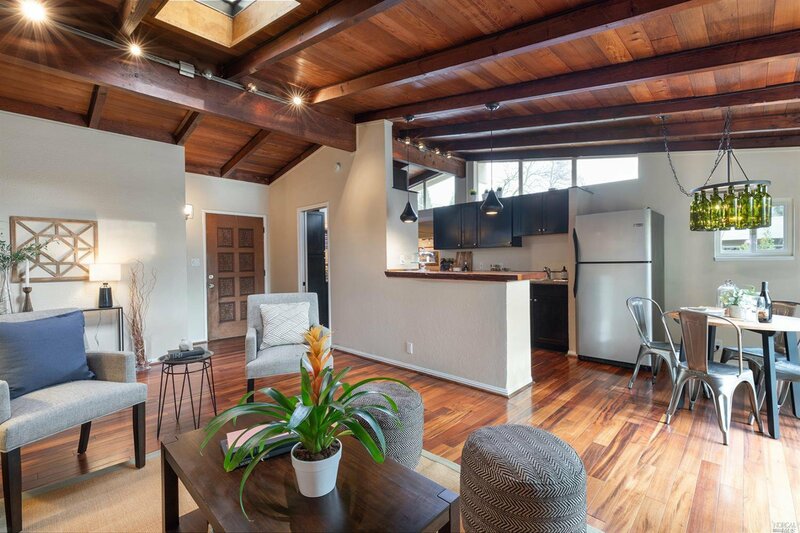 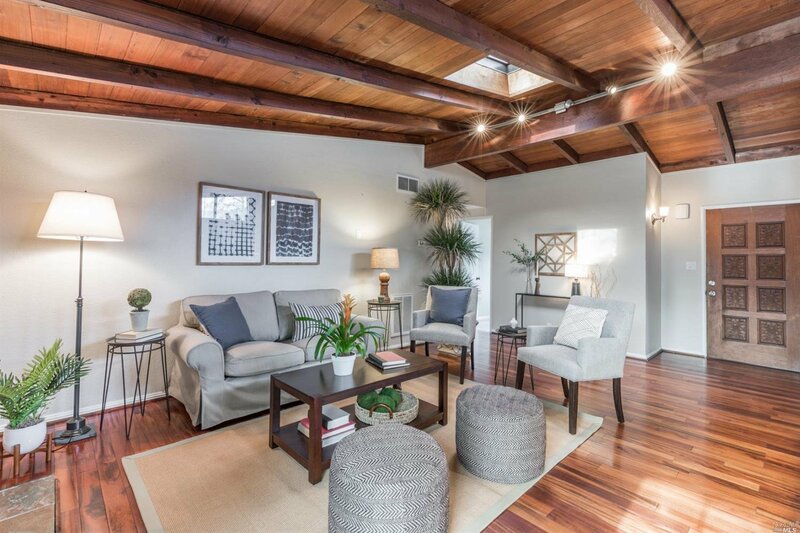 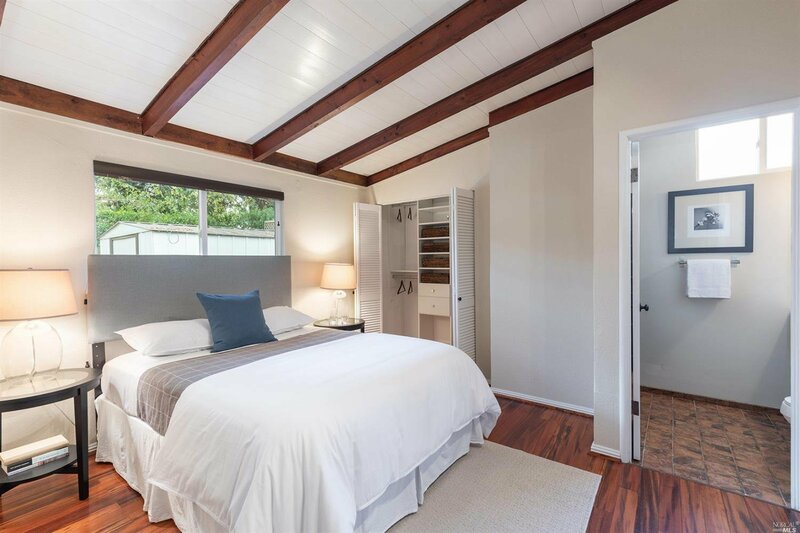 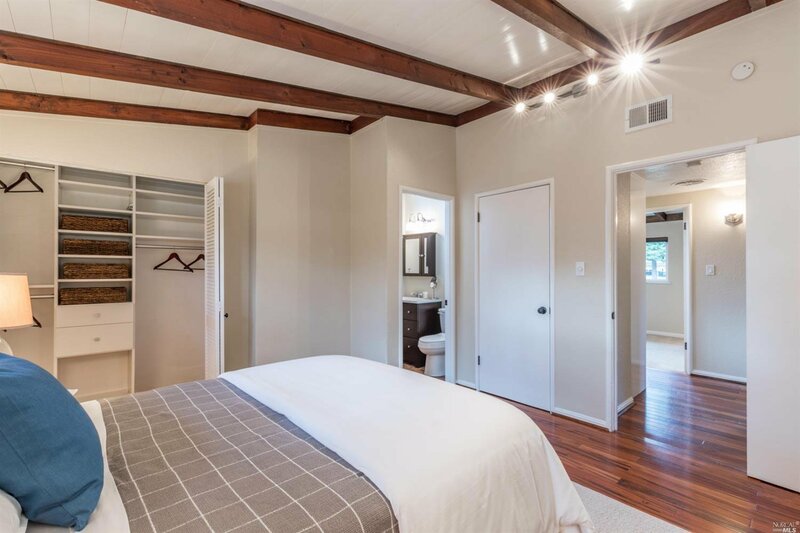 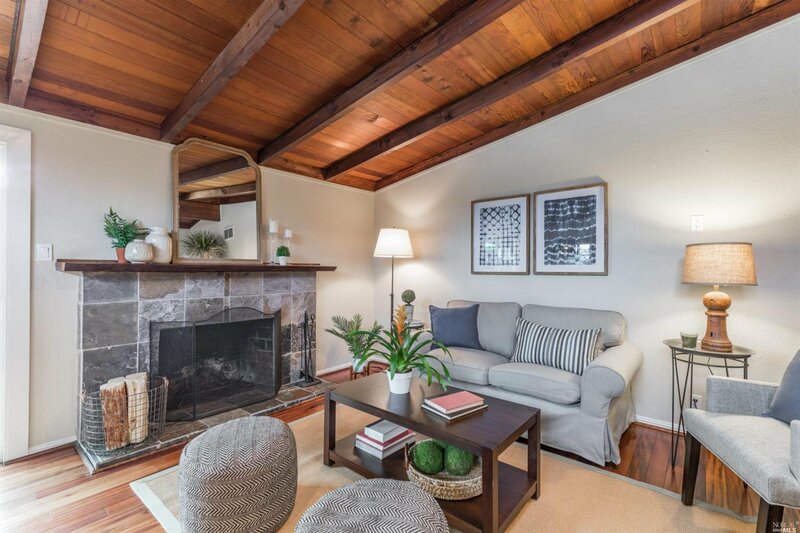 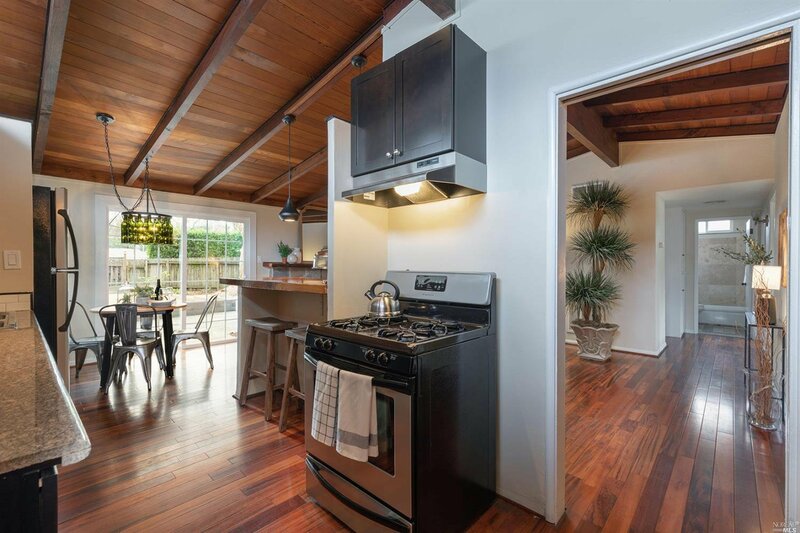 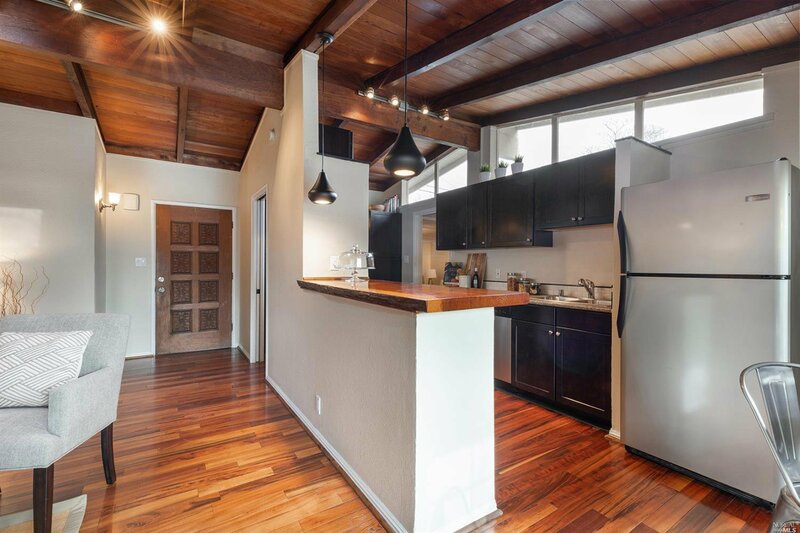 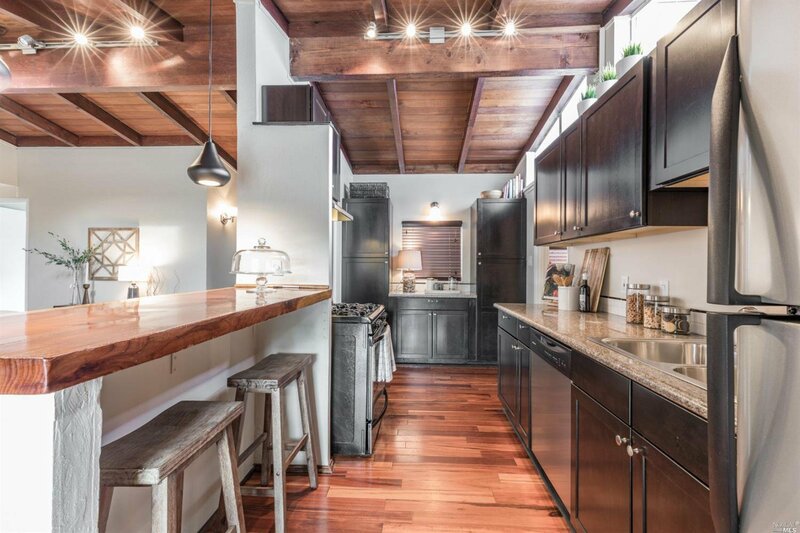 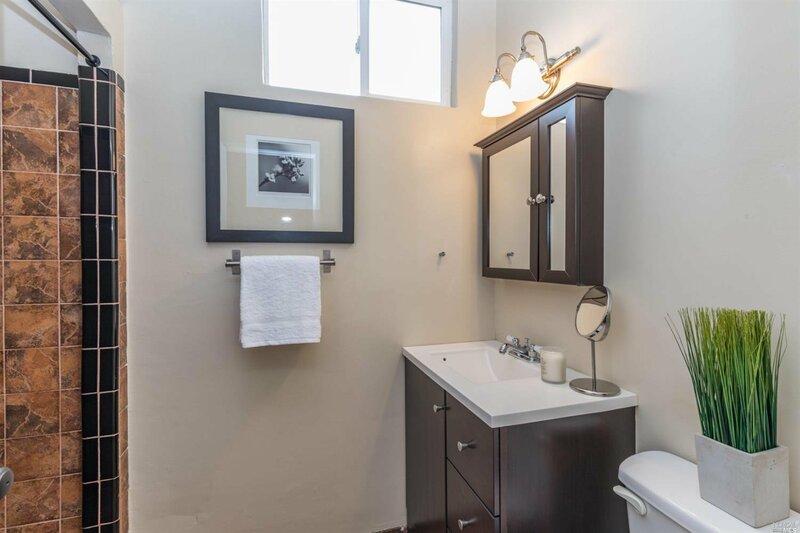 This delightful mid-century modern home features vaulted ceilings, a large fireplace, hardwood floors, updated kitchen, 3 bedrooms, 2 baths & a spacious bonus room. 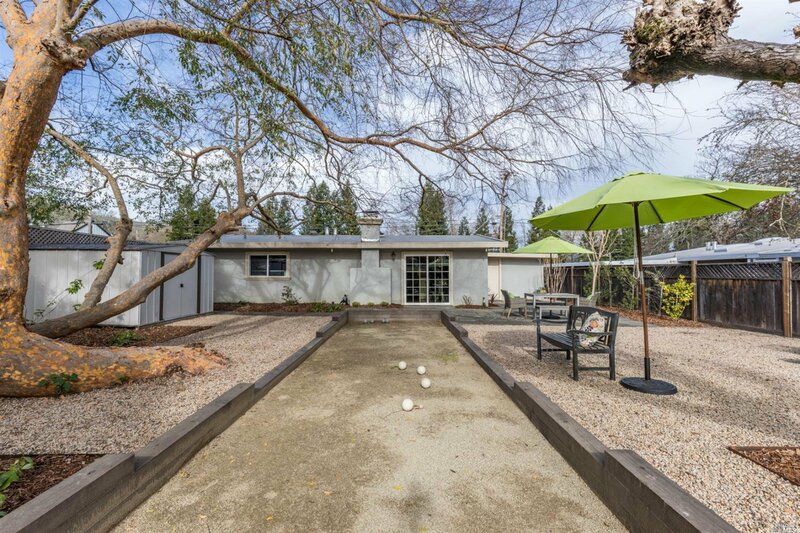 Sliding doors lead to a large, beautifully landscaped yard that's perfect for entertaining. 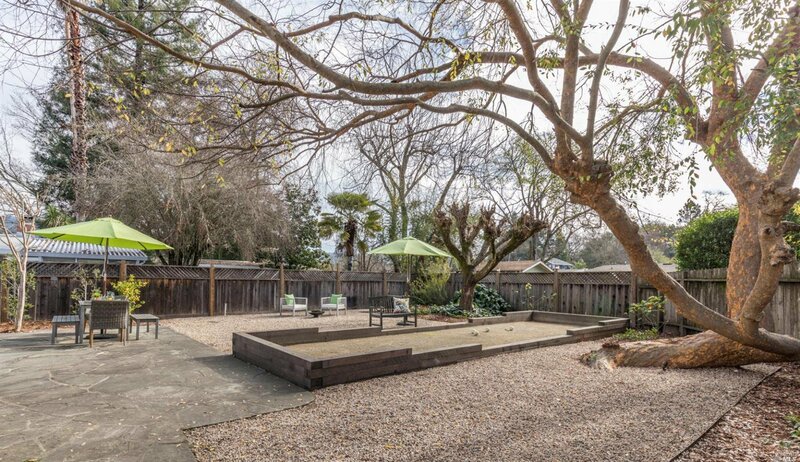 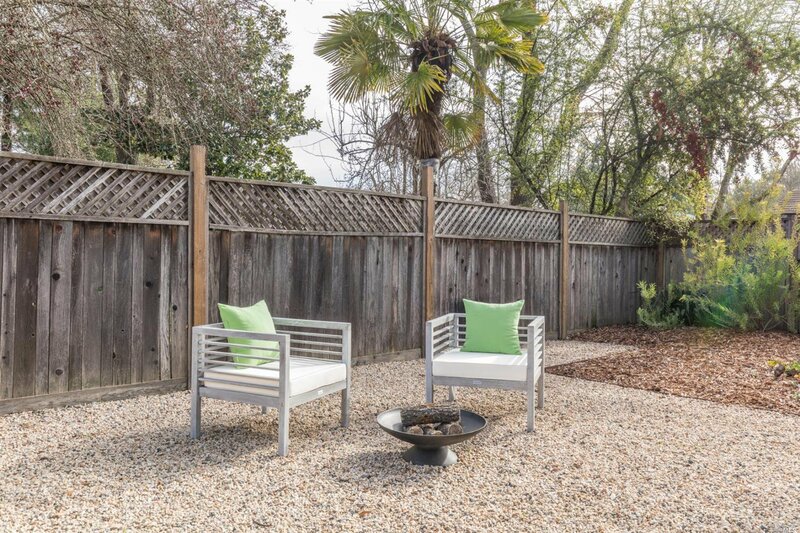 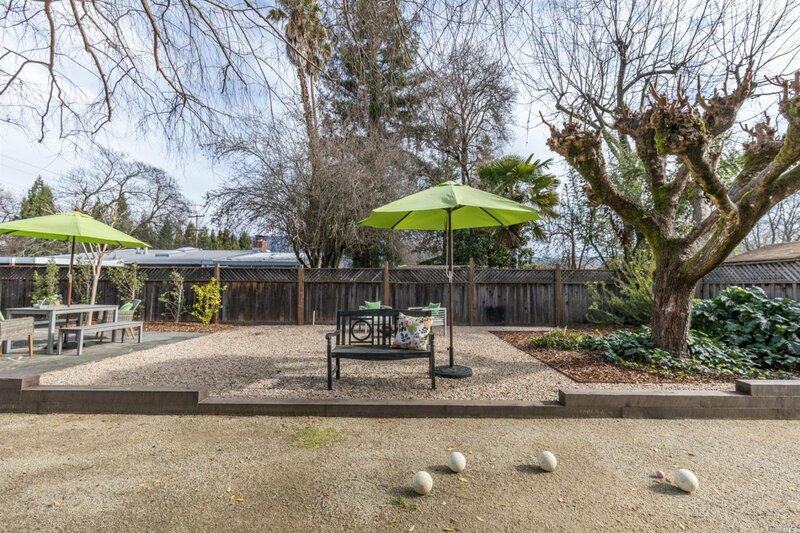 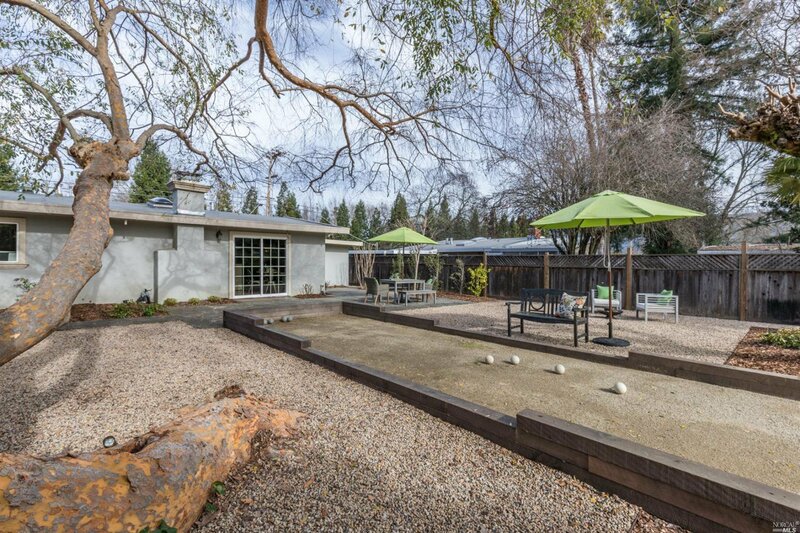 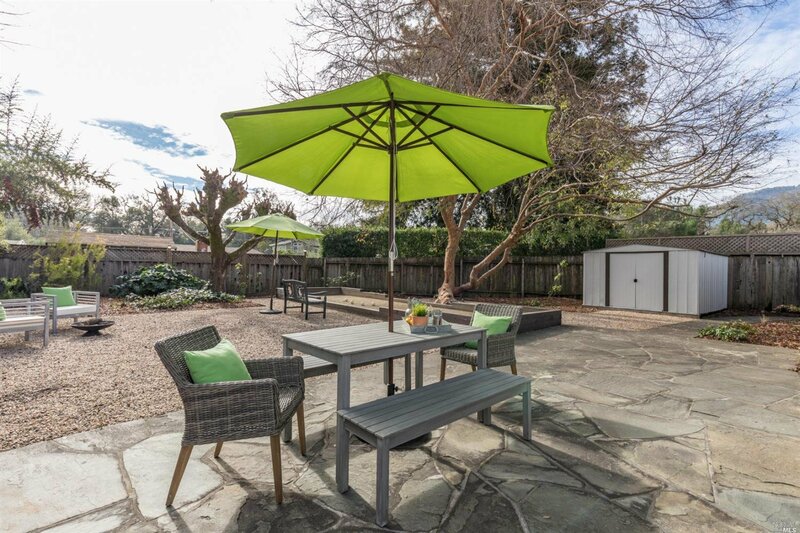 The focal point is a bocce ball court that's shaded in summer by a gorgeous Chinese elm. 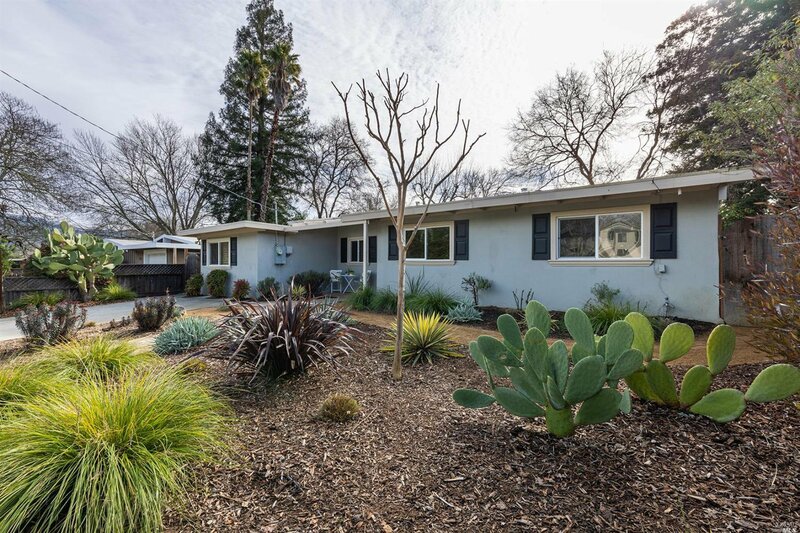 All the landscaping has been designed by Sonoma Mission Gardens to be drought resistant.